No matter how much you may try not too you cannot possibly visit the Emporium in Magic Kingdom or the World of Disney in Disney Springs and not buy anything! 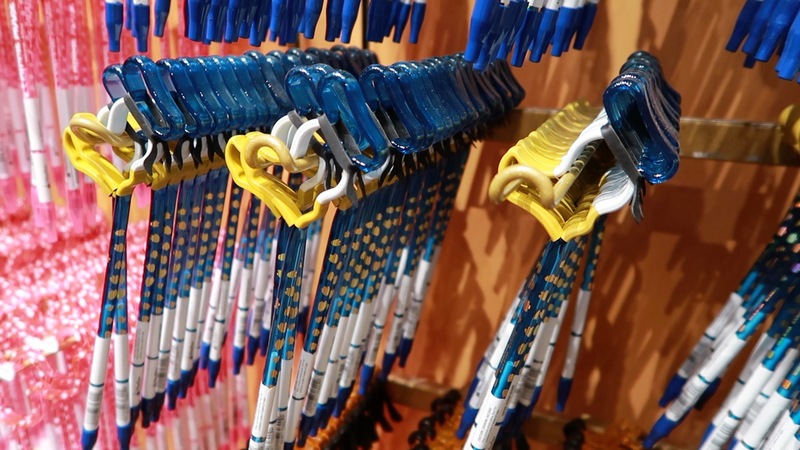 Going through our vlogs from our previous trip I can’t help but notice how each visit we tend to buy or be attracted to the same things… let me know if you agree as I share our must-buy souvenirs from Walt Disney World. 1) Character pens: we ALWAYS buy pens. We love the character ones – those pictured below were found in World of Disney at Disney Springs. We used to also buy some big thick Biro pens for the characters ease to hold when signing autographs but these past two trips we have used sharpies as the pen coating kept coming off due to handling them in the heat & suncream grease. 2) Magnets – now if you are a follower of our weekly family vlogs you will know last year was a very VERY hectic year with some major renovations going on. I am very disappointed to say as a result of those renovations we now have no place for our magnets ??. Every trip we buy a magnet from anywhere new we visit and also keep our eye out for any other cute styled magnet we haven’t ever seen before. I guarantee you will find a magnet you are drawn to – there are soooo many available and some of the designs are truly amazing! I’m so gutted that we have now have no fridge and a bag full of magnets with no home! 3) Autograph book – so this might just be a ‘must have’ if you have children in tow but it’s certainly something I am going to put on here. Since taking children to ‘the world’ this is one of our first purchases on our first park day and tend to be bought from the Emporium in Magic Kingdom. 4) Aerial topper – we noticed this past trip that there aren’t half as many aerial toppers as there used to be. We really struggled to find them this time around for some reason. This was something again we always used to buy for not only us but also family members. Toppers that spring to mind right now are the two we both have on our car right now; the green Goofy hat one and one we got Alex’s Dad in the form of Capt Jack/Mickey. 5) Kitchen wear – we always like to bring a bit of Disney home with us to put in our kitchen. Decorations aren’t as subtle now as it used to be as we do keep adding to them but we have Mickey ears salt and pepper shaker, Rataouille & Chef Mickey stuffed toy, wine bottle stopper, spoon holder/rest, ice cubes and pan stands. Not all are on display so they are still quite ‘hidden’ and because we bought quite a few mugs during our past trip and came home from Mickeys Not So Scary Halloween Party with a Seven Dwarfs mine train there are a few more things on display at the moment. 6) Goofy – so our (or rather Alex’s!) ‘must buy’ character is and always has been Goofy. We have a fair few Goofys knocking around the house. 7) Christmas decorations: although we don’t necessarily get Christmas decorations each trip we do drop by the Christmas shops in Magic Kingdom and Hollywood Studios for family each time we go. This trip we picked Alex’s Dad up some cute metal Mickey ears and a traditional pot style decoration too. Even if it’s just a small bauble or something you may too like to pick up a to remember that years trip – you can even get them personalised too! 8) Mickey Ears – now although I hold my hands up embarassily to say I have never ever bought a pair of Mickey ears I do feel these are something that people will find are a ‘must have’ when you visit a Disney park. There are Mickey ears everywhere! You won’t need to go hunting that’s for sure! I would love to know if you have a preferred supplier of mickey ears as I would LOVE some but wearing headbands and hats tend to give me headache so I need something quite soft and lightweight. 9) Pressed pennies – during our October trip Z took a shine to the pressed pennies machines and asked to do a few every now and then. We said on our next trip he can try and find all the machines if he wants as we did just that during our first few trips. We got a pressed penny folder style and ended up with ALOT … I guarantee you won’t get them on during your trip but you will certainly get a lot! 10) Pins – we have never traded/collected pins since we had children and Z loved it back in 2015. Although we took Z’s on our last trip he wasn’t that interested in it this time around – we said next time both kids would be able to do their own as H would be older and understand it a bit more. Z did love it the first time he did it though – it helped him interact with Cast Members, understand trading and taught him a bit more about Walt Disney World too with all the badges he got to see along the way. Buy it when you see it; the amount of times I’ve said ‘oh we’ll get it at so-and-so’ and we’ve never seen something anywhere again is ridiculous. 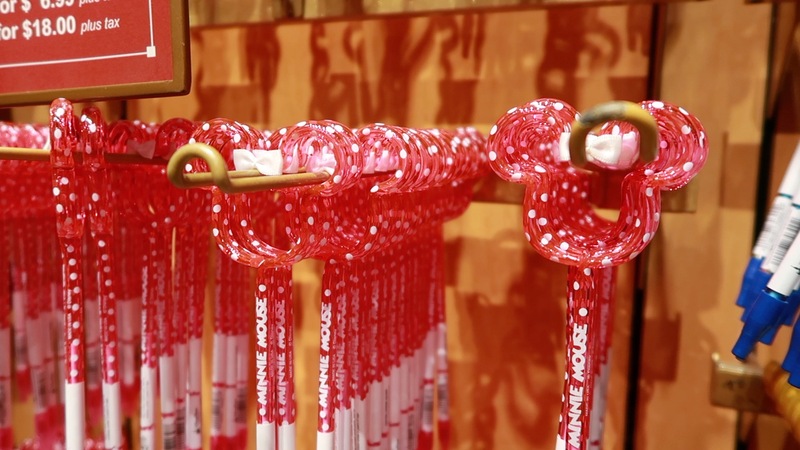 Each store has different and unique items to the next – you may see it again elsewhere but don’t presume that you will; if you don’t get it the first time you see it you can guarantee you won’t see it again. 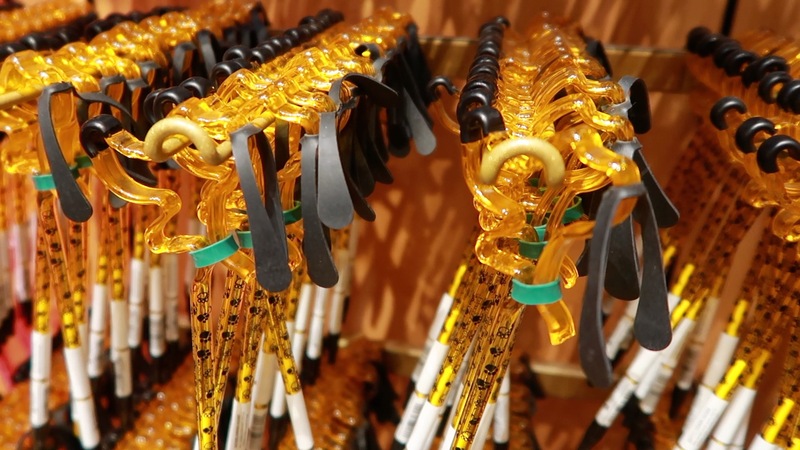 Be sure to check out my Character Warehouse blog too over at the nearby Premium Outlets where you can get tons more of discounted Disney merchandise! 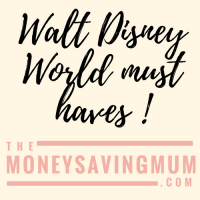 Hope this helps; would love to know what your ‘must buys’ are during your trips to the world… leave a comment down below! I’ve collected magnets from Disney but also everywhere we go and we don’t have a fridge door to put them on either so we came up with the idea of getting a large white board that’s magnetic or a picture frame and put magnetic sheets(from a craft store) in the frame and then place the magnets to display them.